I have been meaning to try this “Magic Card” by Marianne for ages and never seemed to have the time to do it, till yesterday. The challenge this time round for Wild Orchid Challenge is Fancy Folds so I was determined to attempt it this weekend. I used Filigree Heart from Lili of the Valley and coloured it up with Copics. I love this stamp, so different and so detailed but a doddle to colour. I have used one of the soon to be released Girlie Banner sentiments, this time I didn’t chop the swirly bits off so you can see the stamp in it’s entirety. And another angle, it’s not the easiest card to photograph! The paper is Nitwit Collections – Grin ‘n bear it kit, the flowers, lace and seam binding are from Wild Orchid Crafts. Flowers used are 25mm rose, 15mm roses, 10mm roses, 8mm semi open roses. I also added some rhinestones to the stamped image and metal corners to the top of the card. Congratulations Jane, please email me with your address to claim your prize. Please put Stamps candy in the subject line. Another sneak peek for you and an update on the Lili of the Valley open days which are being held next weekend. All my classes are sold out, but for those that just want to come and browse (and of course buy the new boys stamps and sentiments!!!) and join us for a cuppa and tasty treats you are more than welcome. 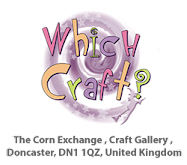 As well as the tasty treats our Dawny P will be demonstrating stamping and colouring techniques all weekend and there are some fab prizes up for grabs ….. including a Grand Calibur! So if you’re in the area do pop in. The papers are Bo Bunny Time Piece, the sentiment is from Lili of Valley and I stamped it on to a Quickutz die. The gingham ribbon and Jute Ribbon are from Wild Orchid Crafts. The top sentiment I did on the computer then punched out with a SU window punch. As soon as I saw the new digi’s in the Saturated Canary etsy store I just had to have some. Oh my goodness, can that girl draw or can that girl draw!?! This is one of the new ones that were released yesterday …. meet Wendy. I also wanted to show you another of the new sentiments that are being released by Lili of the Valley soon! There is flourishes attached to these banners, but I chopped them off this sentiment so I could pop the sentiment on the corner. And here’s the banner sentiment with the flourishes on, isn’t it fab!! Love love love her, the detail is incredible! And of course the fact that she has a likkle doggie on her knee didn’t influence my decision to colour her first one bit – not!! Lol. How stinkin’ cute is that doggie with the matching bow lol. The embellies are from Wild Orchid Crafts – Trellis rose, 20mm roses, 15mm roses, tulips, lilies, white leaves, pearl brad and that gorgeous bling spacer (I’ll let you know as soon as they are on the website.) The lace and ribbon is from my stash. And now I am off out birthday present shopping for Tony – oh joy … NOT!! I have as much interest in his model railway as he has in my cards hahaha. This week’s candy is two rubber stamps that I got from Dies to Die For, Sarah Kay’s Andre carrying a watermelon and The Greeting Farm’s Maggie. And as always all you need to do is enter your name below, and I will draw a winner tomorrow night. I did not get a change to make a card for this week’s Just Magnolia challenge so here’s a sneak peek for the upcoming Boys release from Lili of the Valley. I am just loving these little boys, and had such fun putting these cards together. This is Super Striker – check out the concentration on his little face lol. I’ve always found boys cards such a darn challenge (because I loves me flowers and pretty-pretty) but these images are just so stinkin’ cute that I was more than happy just playing with buttons, dies, ribbon and divine twine. And boys cards force me out of my colour comfort zone, it’s rare that I use orange now isn’t it! The sentiments are also from Lili of the Valley, I stamped out the tags from the A5 tag sheet then over-stamped with the sentiments from the Words for Tickets set before cutting out and inking the edges …. inked edges hide a multitude of sins when hand cutting lol. Don’t forget to pop across to the Ideas to Inspire blog for more sneak peeks. I’ll be back later tonight with a new candy and tomorrow to show another of the soon to be released sentiments, Laila sure has done a totally amazing job with these! The hinges are a Tim Holtz hardware die, the flowers (25mm wild roses, sweetheart blossoms), seam binding and pearls are from Wild Orchid Crafts, the lace I picked up in the USA earlier this year. I dotted some flowers in the grass and added gold liquid pearls to the centres. Release time is looming – we have a mini release going on sale on the 9th May, although if you are attending the Open Day at Lili of the Valley next weekend you will be able to get your hands on these cute little boys before everyone else! Today I am showing my sneak peek of Yeehaa! How stinkin’ CUTE is this little boy!!! And as for the feather on the doggie head lol – well me little heart melted in a puddle when I saw this stamp! Sorry the photo is a bit skew-whiff, my head is still not working properly after a bout of cluster migraines (but it’s easing off now thankfully). I made these sneak peeks a couple of weeks back but didn’t get round to photographing them till last night. The red stars were lilac brads until I heat embossed them with Rich Red embossing powder – much better lol. Please do check out the Ideas to Inspire blog as well as my fellow LOTV teamies to see what sneak peeks they have on offer over the coming days. I am so bad! It’s ages since I gave some candy away to the lovely peeps that leave such fab comments. Thank you, I really do appreciate each and every one of them. can you both please email me your addresses so I can pop your candy in the mail for you. 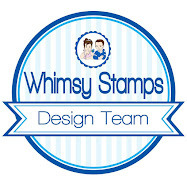 I have used one of those new Tickets Notes sentiments stamps from Whimsy Stamps. I really do love this set, the sentiments work for so many different cards. The image has been coloured with Copics and pencils. If not you will have missed the announcement that their Spring Sale is on Friday 27th and Saturday 28th April where you’ll get 32.5% off everything in the store!! It’s ages since I played just for fun so really really enjoyed making this card with one of Saturated Canary’s fab digi stamps. This one is Priscilla Pie – love her! I have used Prima Sun Kiss papers. Oh they are just so pretty! Matted on to chocolate brown card and machine stitched. The embellies are all from Wild Orchid Crafts. Chrysanthemum, 25mm wild rose, 20mm roses, 15mm roses, silk ribbon, ribbon slider buckle, rhinestones, brad and also that gorgeous rhinestone spacer which should be on the website soon! I used Liquid Pearls opal white for the pearls in her hair and the centre of the flower and popped a tiny rhinestone for the bling on her ring lol. That’s all from me, have a fantabulous week! Hello and welcome to Day 5 of our April Rubber & Die Release Showcase! I’m back with another of the stamps that Whimsy Stamps released this month along with new Shapeology dies. Until 24 April the Whimsy Stamps DT and Special Guests are showcasing these fabulous new goodies with a daily mini blog hop and I am part of today’s hop! My card today features one of Elisabeth Bell’s amazing images, this little cutie is Ginger Meadows from the Cottage Cuties Collection. The sentiment is also from the new release, the set is Tickets Notes. The papers are from the latest digi kit from Nitwit Collections, this one is Tour of London – isn’t it just fantastic!!! The flowers and lace are from Wild Orchid Crafts. I used 25mm wild roses, 20mm roses, 15mm roses and I used some gold coloured pearls for the centres of the larger flowers on the stamped image. The ladybird in the centre of the lace bow is a button, I just snipped the shank off. This was one of the many buttons I picked up on my shopping spree with Jacque, Suzan and Michelle when I was in the USA in January.